Todd Miller is a seasoned intellectual property attorney with extensive litigation and prosecution experience. He has tried and won matters before jurors, judges, and arbitrators. 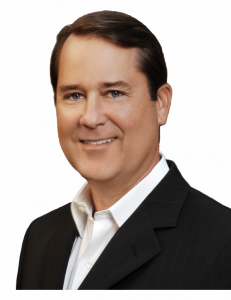 As a registered patent attorney, Todd has prosecuted hundreds of patent and trademark applications before the U.S. Patent and Trademark Office and other agencies worldwide. He counsels clients with the development, maintenance, and policing of their patent and trademark portfolios. Todd is a former partner at Jones Day and co-chair of that firm’s Emerging Technologies practice. He is a frequent speaker and author. With more than 20 articles, Todd has been published in China, Germany, Japan, the U.K., and the U.S. under the auspices of the U.S. Patent and Trademark Office, the American Intellectual Property Law Association, and the Max Planck Institute. 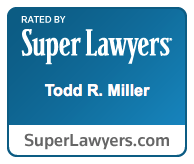 Todd has continuously been selected to the California Super Lawyers® list, an honor given to the top 5% of practicing attorneys in California. Read some of Todd’s Insights Here. Todd has a Master of Laws in Intellectual Property Law with highest honors from the The George Washington University. He has also earned a Juris Doctor from Thomas M. Cooley Law School, where he was on Law Review, and a Bachelor of Science degree in Materials Science Engineering from the University of Florida.